We all know that little ones like to be pushed around in strollers, but they also like to push their little ones around too! 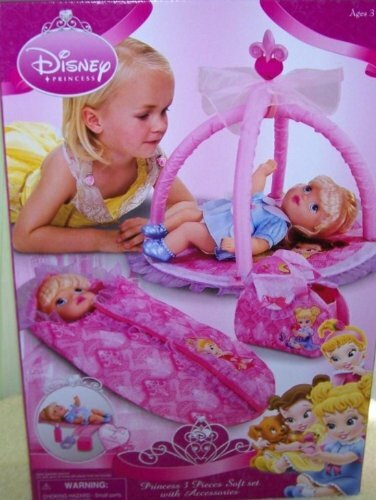 For the little Disney fan in your life, there are some super cute Disney strollers for dolls! The Disney Royal Pram is bright, colorful and sure to become a favorite! It has a large canopy and features some of the favorite Disney princesses! It will hold a doll up to 16″ but is not included. The Disney Royal Pram from Tollytots retails for $27.99. 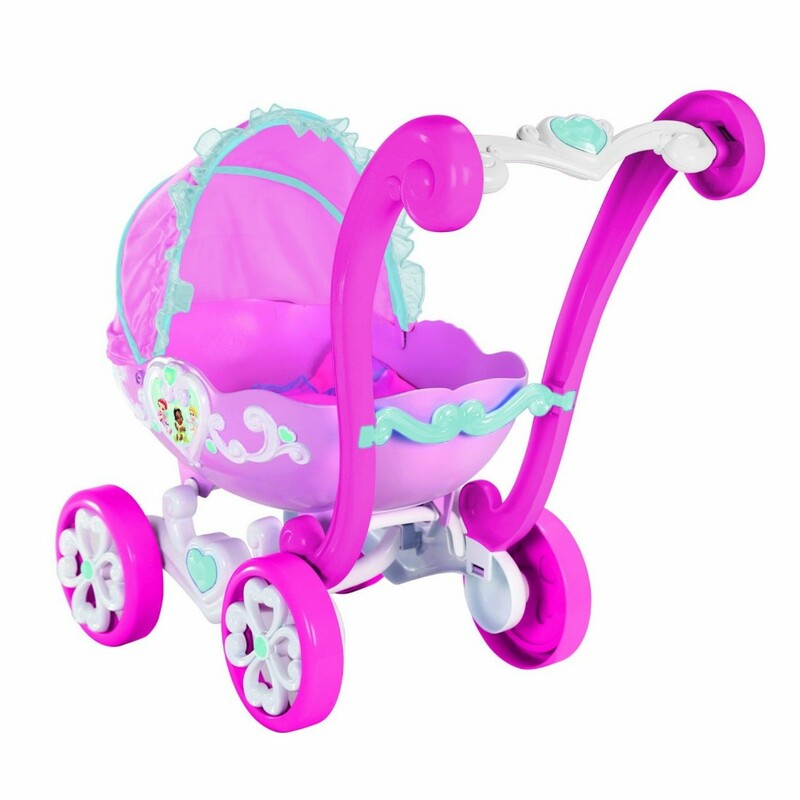 This doll stroller features Baby Aurora, Cinderella and Belle and will fit a doll up to 15″ which is not included. It also has an adjustable canopy, satin baby blanket and pillow! 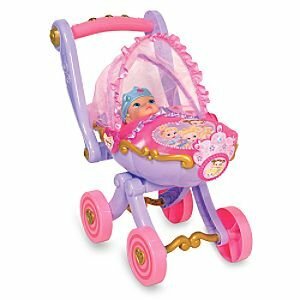 The Disney Baby Princess Stroller for Dolls retails for $39.99. For the little Princess traveling to Disney World, this 3 piece Disney Princess Doll Set is perfect! This set includes a play mat, sleeping bag, 3 baby toys and a travel bag to carry it all in! Doll not included! The Disney Princess 3 Piece Doll Set retails for $23.95.